For hundreds of years Denmark has produced exquisite designs, from furniture to wind turbines, the Danes have shown a natural flare for design, construction and architecture. 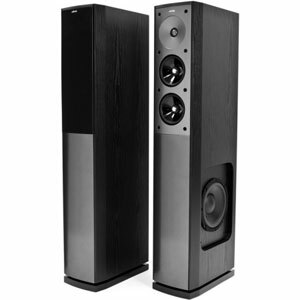 The Danish audio company Jamo has produced sound quality at the highest level; their reputation has long been established as specialists in this field. For almost forty years Jamo has constantly redefined their audio products – demonstrating their commitment to exceptional design, technology and craftsmanship. Each and every product created has been developed to achieve perfection; having being tested in both laboratories and the types of rooms where the final product will be utilized. Jamo are able to custom design entertainment for wherever you want music, whatever your preference Jamo have a sound solution. Design, as well as cutting edge technology, are both essential elements of any Jamo product. They offer highly functional yet beautiful style, using only the best quality materials. Consequently, their products combine functionality, aesthetics and durability – just as the world famous classic Danish furniture does. Over many years Jamo products have received outstanding reviews and won many prestigious awards both nationally and internationally. This just goes to prove further that they excel at what they do. Jamo is a much sought after globally and the critics agree. Indeed critics have also recognised Jamo for its “Danish sound”, which has been described as coherent, clear and open but most of all musical. A sound that is so life like that you feel you are part of it. The Jamo A101 HCS5 slim line speaker package is ideal for those just venturing into the home cinema experience and is great for people who don’t have much space. The new generation of televisions take up less and less space so it was only natural that the loudspeaker had to follow. The Jamo A101 HCS5 is slim enough to match the new slim line TVs and can be featured easily in the most modern of home interiors. With their high gloss finish, the aesthetically pleasing rectangular speakers compliment any flat panel television. Although small in size they make up for it with power and project an outstanding sound field with incredible articulation of even the tiniest sound. With five identical satellite speakers and matching sub woofer, the Jamo A101 HCS 5 will offer sound quality that is a vast and impressive improvement over what is offered from modern TV’s. Even though the satellite speakers are small, they are able to project a very impressive sound-field with remarkable articulation of even the tiniest detail in the most spectacular sound track. Each speaker can cope with over 50W power allowing for amazing but realistic reproduction, necessary getting the maximum enjoyment from films. 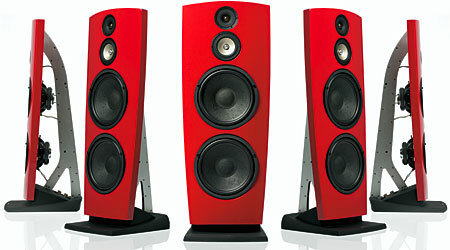 bass speaker, two midrange drivers and a tweeter. A thunderous deep bass is delivered by a side woofer.